There may be instances when you feel like everything in life is out of balance. For instance, you focus too much on career growth and take your personal life for granted. You suddenly find yourself not enjoying the fruits of your labor. In these situations, you need something to keep all facets of your life nurtured. You need chakras and the chakra bracelet. Chakras are energy points embedded into your physical self. Each one corresponds to a connection between the physical and spiritual body. Like the systems of the body, what happens to one may affect the behavior of the other. There are 7 major chakras. They are the main pathways of energy and have the strongest impact on your overall well-being. Each major chakra is represented by a natural stone on the chakra bracelet. Wearing a bracelet will allow you to be constantly reminded of the balance that should be kept among the chakras. This increased awareness greatly helps in determining which one needs to be prioritized. The chakra bracelet has become a popular fashion accessory in some places, such as Hollywood and Milan. It does much more than spice up an outfit. More importantly, it brings healing. Having a chakra bracelet wards off all forms of negative energy. It also helps control a number unhealthy habits, like smoking, alcoholism, drug addiction, and eating disorder. These are all brought about by chakras staying in harmony. 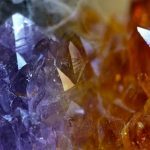 A strengthened Crown chakra, in particular, will let you think straight and long-term. The Hamoery has a classic design. 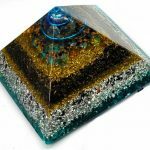 All 7 major Chakras are well represented and surrounded by natural volcanic stones, all of which are absolutely authentic. 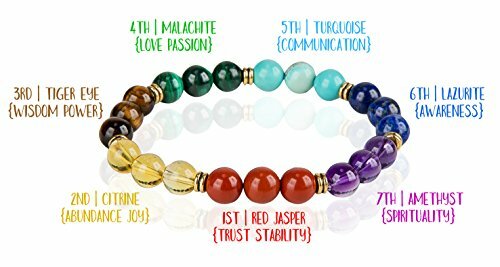 The bracelet has real Red Agate, Amber, Tiger Eye, Green King Stone, Turquoise, Lapis Lazuli, and Amethyst. You can also add your favorite essential oil to the volcanic stones for a brief aromatherapy experience. 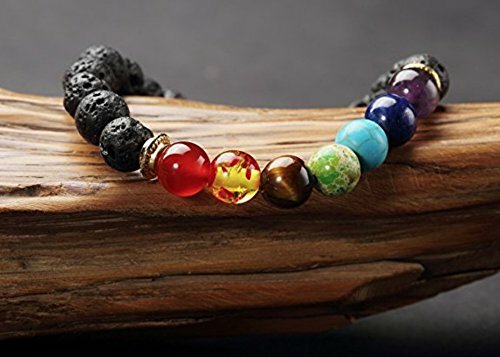 Another 100% guaranteed natural stone chakra bracelet is this one from SPUNKYsoul. It contains Red Jasper, Citrine, Tigers Eye (AAA Grade), Malachite, Turquoise, Lazurite, and Amethyst. The stones are uniquely positioned in groups of three and are separated by gold metal spacers. This is definitely a piece that will get a woman noticed. It will also add flair to any outfit. The third one on this list is from Believe London. This is a great alternative for people who don’t like a braided rope type, like the one from Hameory. In addition, this chakra bracelet comes with a pouch for convenient storage. You’ll be amazed at how your life will start to fall into place when you take time to balance your chakras. Thus, having an accessory around to always remind you to keep your chakras balanced will make shifting to your new lifestyle easier.